Having never attended any sort of traditional film school, I’ve always taken it upon myself to self-educate as much as possible. Over the years, I’ve consumed dozens of books on filmmaking (and screenwriting in particular), watched thousands of films, and have read hundreds of screenplays as part of that process… And if I’ve learned anything along the way, it’s that mastering the craft of filmmaking is a lifelong endeavor. There is no end point to self-education as a filmmaker, and the more we embrace this journey and welcome the process of learning itself, the more we can thrive as artists. So when a new educational tool – whether it’s a book or seminar or course – comes along, I am always open and receptive to it. That said, there is a mountain of content out there geared toward educating the filmmaking community, and while some of it offers tremendous value and quality, most of it does not. As a result of this over-saturation in the market, I’ve become extremely selective when it comes to educational tools I would consider investing my time and money in. When I first heard about Aaron Sorkin’s Masterclass about a year ago however, there was no question in my mind that it would be a worthwhile investment. Not only is Sorkin someone who I deeply respect as a writer, but the Masterclass platform and format as a whole has really proven itself as an exceptional educational resource across the board. I completed the class in the spring of 2017, and shortly after I was approached by Masterclass to become an affiliate of theirs. Those of you that follow this blog regularly know that I am extremely selective with who I partner up with, and which affiliates I’m willing to work with. As a general rule, I only partner up with companies or brands that I actually believe in. I will never (and have never) collaborated with any brand or reviewed any product that I don’t personally use and that I can’t 100% get behind. I am constantly asked to review or promote products, or partner up with brands looking to reach a bigger audience. 99% of the time, I say no. I can’t even remember the last time I said yes, until now. I only mention this to clarify my intentions with this review, and so that all of you know that while Masterclass is now an affiliate of NoamKroll.com, any thoughts or feedback on the class are completely my own. From a top-level standpoint, I have to say that one of the things I enjoyed most about this course is it’s versatility. While many screenwriting courses or books will advertise themselves as being good for “beginners or professionals alike”, rarely is that the case. Sorkin’s Masterclass is not in fact advertised this way at all, but it very well could be. The wealth of knowledge that Aaron shares, and the way in which he communicates his ideas could truly benefit an up and coming filmmaker just as much as a seasoned pro. It’s the kind of material that you could watch over and over again and get more from each time. The course itself is broken into 35 individual lessons, which cover key topics like: generating story ideas, developing characters, research techniques, finding the arc of a story, and much more. Many of these lessons are done in a lecture-style, in which Aaron addresses the audience directly, but the course also includes a number of group workshop lessons too. In the first series of these workshops, we become a fly on the wall and watch as several up and coming writers get feedback from Sorkin on their screenplays. In another series, the same group becomes a makeshift west-wing writers room, and we observe the process of breaking the story for an original episode of television. What Aaron doesn’t do in the Masterclass – and the class is better for it – is spend an unnecessary amount of time on story structure. While he does touch on story arcs (largely by referencing Aristotle’s poetics), he does so in a way that doesn’t impose a rigid structure or set of rules on the writer, which is refreshing when compared to other courses or books on the subject. I happen to believe that structural rules can really help writers to break their stories more effectively, but I also don’t think there is a one size all fits approach for everyone. For instance, some people respond well to the Blake Snyder approach to structure, whereas others swear by Freytags pyramid… There are countless formats out there, and while none of them are right for everyone they all do share one commonality – They are all essentially derived from Aristotle’s Poetics, either directly or indirectly. For this reason, I love that Sorkin has focused on Poetics as the centerpiece of his discussions on structure. Choices like this are what allow his lessons to resonate equally with students who have never studied screenwriting, or those that may have learned structure through some other means. This is just one example of how well thought out the course is in every respect… Even the flow of the lessons is brilliant, as it mirrors the natural progression of writing a script – from choosing an idea all the way up to handling notes during re-writes. As you progress through each lesson, you are also provided with some tools that are designed to deepen your experience with the class. The first is a downloadable PDF for each lesson, which is essentially a cheat sheet that you can later refer back to as a refresher on each episode. This PDF also includes writing exercises (where applicable) that help you kickstart your writing process by getting ideas down on paper immediately and consistently. The second tool is an online message board & community of filmmakers who are also taking the course with you. The purpose of this platform is to give you the ability to team up with these other writers on course exercises, and to exchange writing samples and feedback on your respective projects. Having essentially binged watched the lessons myself (which is actually not the recommended way to take the course), I did not participate in the online/social elements of the class. However, if I take the course again in the future, which I very well might, I would certainly take advantage of the online community as I believe it’s an excellent resource. I only took the course the way that I did as a means to fit it into a small gap in my schedule between wrapping up production on a feature and beginning production on a number of commercial projects. The recommended class schedule runs over the course of 6 weeks, with each week focused on approximately 5 – 10 lessons and their corresponding exercises. I finished the course in about a week, so if you have limited time and need to compress your schedule, that is certainly possible. But if you can follow their recommended 6 week program, go for it as you’ll have some breathing room in between each lesson to really digest what you’re learning and put it to use. For all of the reasons stated above, I strongly recommend this Masterclass to any filmmaker at any level who is looking to refine their craft. This not only applies to professionals and amateurs alike, but even to writers and non-writers alike. The best directors (and producers for that matter), are always striving to deepen their understanding of story and the craft of screenwriting as a whole, even if they don’t write. It’s crucial to have a strong working knowledge of screenwriting when collaborating with other writers, giving directorial notes, or when breaking down a script to shoot. So wherever you may be in your filmmaking journey, I would highly recommend diving deep into this course and making the most of the wealth of knowledge that is shared. Personally speaking, after finishing this course I was inspired to write a new screenplay, and have found that both my process and my creative output have improved noticeably as a result. In less time than ever before I have been able to come up with an idea, break the story, and write a first draft, and will soon have a polished version of this new screenplay to show for it. 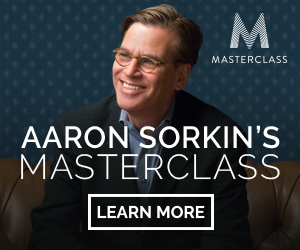 If you’re interested in taking Aaron Sorkin’s masterclass, you can sign up for it here. I’m currently taking Sorkin’s Masterclass, halfway through the group workshop. You’re more experienced and accomplished than I am, being that I’m still in the early beginnings of my journey. However, I share you perspective about being picky and discerning toward the massive amounts of so-called educational material that often don’t eventually live up to my expectations. Most of it seems like regurgitation of the same 2 books, ad infinitum. So. I’m wondering if there are any books you would recommend, or that have been recommended to you, that you’ve come to appreciate. I already have a pretty good library going but I’m just curious, knowing there are some good things out there that I’ve never been expose to, yet. I’m mostly interested in either books from proven and prolific teachers or the actual movers and shakers themselves (directors, editors, writers, etc). Or, of course, other resources—beyond Masterclass or MZED—are also welcome. Thanks for any recommendations. Hey Lung! I am reading “Adventures in The Screen Trade” right now, and it’s great. It’s not an instructional type of screenwriting book, but it is a classic. Have you read it? I haven’t read it but it’s on my list to either check out from a local library or buy. I’ve read that this one and Goldman’s other, ‘Which Lie Did I Tell?’, while not directly instructional, hold a wealth of insider information, anecdotes and are good reads. I’ll check it out. Thanks, Noam. Awesome! Thanks for sharing this one too. I am VERY interested in this Masterclass and I’m waiting for some tax refund in USD in order to use that money automatically for this. Thanks for the review! And the Goldman’s book was the first one about screenwriting that I’ve ever read. Now I have more than 20 books on the subject, but that one is still one of the funnier to read. Thanks for the note! And I’m with you – I have about 20+ screenwriting books on my shelf too, haha! Hope you enjoy the class when you take it. Screenwriting Tricks of The Trade by William Froug with an introduction by the late, great Jeffery Boam. I haven’t read it in a few years but I remember the first time I did (mostly because Jeff Boam recommended it so highly) and it blew me away. 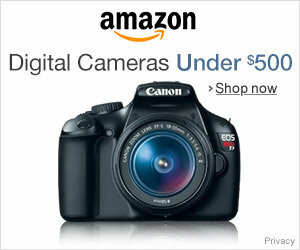 Awesome – Thanks for the recommendations! A-list filmmakers presenting a Masterclass? we are so in. Can’t wait for the Ron Howard series and fingers crossed on an Edgar Wright class. Like any other science it’s all about mastering your craft and Masterclass is like having a top grade tutor along the way.